O'Neill and Teal'c risk their lives to keep the Replicator bugs from gaining a foothold on Earth, while Carter helps the Asgard fend off a Replicator invasion. The Russian submarine codenamed “Blackbird” has come in contact with the lone survivor of the crash of the Asgard ship Beliskner into the Pacific Ocean. A Replicator — a technological “bug” that is the scourge of the Asgard’s home galaxy — has come aboard, and killed the crew. At the S.G.C., technicians work around the clock to install Earth’s second Stargate and equip it with an iris. The command’s original Stargate was transported to the Beliskner to allow SG-1 to escape the doomed ship (“Nemesis”), and is now presumed destroyed. It takes over a week before the Stargate is functional, but Colonel Jack O’Neill, Major Samantha Carter, and Teal’c finally return. They escaped the Beliskner to P3X-234, and have been dialing Earth unsuccessfully ever since. Thor is safe, having been picked up by the Asgard. The group takes a well-earned rest. Major Carter studies two Replicator pieces recovered from the crash site, while O’Neill plans to take that missed fishing trip. But their vacations are again interrupted: Major Davis arrives from the Pentagon, and tells the S.G.C. about the overrun Russian submarine. The vessel has been towed to a U.S. harbor, but the government’s cover story about where it came from and why it is being quarantined won’t hold up for long. O’Neill and Teal’c, along with two other soldiers, board the sub to determine the threat level. Daniel Jackson, Major Davis, and Sergeant Siler watch from a remote location, through cameras mounted to the team’s helmets. Carter has a mission of her own, though. Thor comes to the S.G.C. and asks for help, and she volunteers to go with him. Thor’s home world is about to be invaded by three ships overrun with Replicators. He and the rest of his race have realized that their arrogant over-reliance on their technology has caused their undoing. Indeed, they are no longer even capable of thinking in a way that might provide a way to defeat the Replicators. The humans, though, have already found a method that is effective in neutralizing the bugs — projectile weapons. Carter returns to the Asgard planet with Thor, to lend her “less sophisticated thinking” to their struggle. Asgard ships move to intercept the three vessels that are on their way to the planet, but are destroyed. All that is left to defend the planet is the O’Neill, an advanced warship prototype built specifically to combat the Replicators — and named after Colonel Jack O’Neill. Carter struggles with Thor to better understand how the Replicators work — and how they think. On the submarine, one of the soldiers on board with O’Neill and Teal’c has been killed. In addition, the team learns some curious things: the Replicators are a different color, no doubt a result of consuming metals different than those that made up the Beliskner. In addition, there is a giant “mother bug” on board. The original survivor of the crash — and the only Replicator made up of advanced Asgard metals — is inside of it, having built on to itself. It is the queen bug that creates new Replicators. Carter comes up with an unorthodox plan: send the unmanned O’Neill into hyperspace. The bugs will chase it, because it is made of the most advanced metal and technology the Asgard possess. The Replicators will be forced to take their ships into hyperspace to pursue, and the energy drain will not allow them to maintain their shields at the same time. The O’Neill can be self-destructed, taking the invading Replicators with it. Thor refuses to consider the plan because it is too great of a risk. The O’Neill is the most advanced weapon the Asgard have, and their last hope of defending against the invasion. But Carter convinces him; the Asgard have already acknowledged that the solution does not lie with their own technology. Thor launches the O’Neill, and the Replicators follow it into hyperspace. The ship explodes, successfully destroying the invasion force. On Earth, O’Neill and Teal’c open fire on the bugs and destroy the queen, but are sealed into the submarine. All routes to the escape hatches are blocked by the Replicators. Facing inevitable death, O’Neill orders Davis to command a waiting U.S. sub to fire on the ship and destroy them. Jackson is hesitant, but consents; Davis orders the strike, and the submarine is torpedoed. Through the helmet cameras, Jackson watches his friends brought to the ground by the Replicators — then transported away by the Asgard seconds before they are killed. Thor and Carter have arrived in Earth’s orbit, and rescued O’Neill and Teal’c. The Replicators have been destroyed on both fronts. But these are small victories, Thor tells them: the war against the Replicators stretches across their entire galaxy. But now there is hope, where before there was none. Stranded on P3X-234, O’Neill, Carter, and Teal’c have been dialing home for over a week. The Asgard arrived for Thor (in his stasis pod) shortly after the group arrived on the planet, leading them to believe that it was equipped with a homing beacon. The Asgard left SG-1 on the planet, though. Thor has a firm understanding of human projectile weapons. It is likely that they will adapt this technology in their continuing war against the Replicators. There is a tense political situation between the United States and Russia. Russia spotted the Beliskner as it crashed into Earth’s atmosphere. The Russians are also convinced that the U.S. has something to do with their missing submarine. It is likely that the U.S. government may not be able to keep the Stargate program under wraps for much longer. Falling into the same trap of arrogance that befell the Asgard, the U.S. government requested that samples of the Replicators be captured for study. O’Neill and the S.G.C. refused, and destroyed all the Replicators on board the submarine. The iris failed to respond to the S.G.C. computer upon Thor’s arrival. While this may be a symptom of the new gate’s installation, it is more likely that the Asgard caused a power drain at the base and somehow prevented the iris from being closed, so that Thor could arrive safely. Thor arrived by Stargate because there were no ships to spare — all were engaged in conflict with the Replicators. Teal’c stated that the Replicators will not attack unless threatened. This seems a bit presumptuous, considering SG-1’s limited exposure to them. 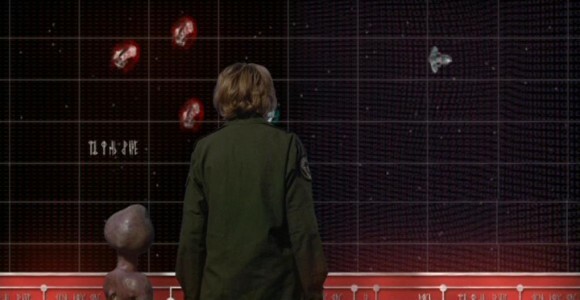 While they often did not attack SG-1 during their encounters on the Beliskner, it had not been determined that the team would be safe on the submarine as long as they did not threaten the bugs. 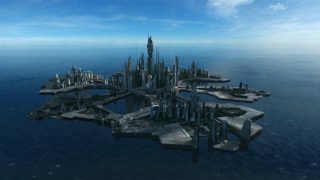 Thor’s planet contains vast, technologically advanced cities. Thor’s home world may or may not be the original home world of the Asgard race, considering the fact that there are multiple planets under Asgard control (“The Fifth Race”). The Replicators’ color is based on the type of metals that they consume, and they are only as sophisticated as the metals of which they are made. The bugs have demonstrated that they consciously pursue newer, more advanced metals and technology. O’Neill, Jackson, and Davis conclude that the new Replicators cannot survive in the ocean because the metal they are made of will corrode. Is this a correct assumption, considering: 1) that the Replicators were made from the metal of a submarine, built to exist in the ocean; and 2) that the last time SG-1 destroyed a vessel full of Replicators (using much more destructive means than two torpedoes), not all of them were destroyed? Replicators are susceptible to guns (projectile weapons, with which they have apparently not come into contact before now). Although they can reform after being blown apart once, they cannot reform after being destroyed a second time. Each block making up a Replicator exerts an energy field on other blocks around it, allowing the Replicators to combine into many different forms. The interior of each block contains 2 million keron pathways (a keron is a type of energy particle that humans have not yet discovered). In simpler terms, each block is like a tiny computer that is able to communicate with other blocks — and several blocks working together can create new blocks. Replicators have the ability to modify Asgard technology even beyond Asgard understanding. They are limited by the technology they have come into contact with, though — so presumably they have found a civilization with technology that is more advanced than the Asgard’s. Thor promised that one day, when the Replicators have been defeated, the Asgard will help in Earth’s conflict with the Goa’uld. Thor told SG-1 a year ago that they could not commit the forces necessary to stop the Goa’uld because of their own great war (“Fair Game”). The Asgard war against the Replicators stretches across the Asgard’s home galaxy. There are many battles still to be won, and the Replicators learn from the technology and strategies that are used against them. Carter’s plan that succeeded in destroying the Replicator-controlled vessels may not work again. The destroyed Russian submarine was a Foxtrot class attack sub, code named “Blackbird.” It was torpedoed by the Dallas, a Los Angeles class U.S. attack sub. Thor possesses a device that can activate a wormhole automatically, without dialing the Stargate. It is unknown whether this device is capable of connecting to any Stargate in the network, or only reactivating the last active wormhole. The Nox and the Goa’uld also possess similar technology (“The Nox,” “Children of the Gods”), as did Cassandra in Earth’s future (“1969”). Asgard food comes in small, colored blocks — probably containing the precise nutrient amounts for Asgard physiology. They are very distasteful to humans, though. The full power of the generators powering an Asgard vessel are required to generate the subspace field necessary for hyperspeed. No shields or weapons can be used when traveling at that speed. The Asgard have recently developed a new alloy of naquadah (the powerful mineral that the Stargate is made of, and on which all Goa’uld technology is based), trinium (a metal 100 times stronger than steel, found on the Salish Indian’s planet in “Spirits”) and carbon. It is the strongest material they know of, and was used to construct the hull of the O’Neill. Samantha Carter – Carter is no doubt in high favor with the Asgard, having devised a “stupid plan” to successfully destroy the Replicator invasion force heading for their home world. Though one of the most intelligent people at the S.G.C., she was recruited by Thor for her “less sophisticated” ways of thinking. Sam’s relationship with Jack seems to have changed over the past week — perhaps as a result of them nearly being killed on the Beliskner, or because of something than happened while on P3X-234 (or both). She seems to have let her guard down, and is more open — more free in showing how much she enjoys him. Jack O’Neill – O’Neill is getting real tired of having to save the world over and over again. But again, he risks his life to combat the Replicator bugs — and sacrifices himself when it appears that he and Teal’c have no way of escape. The Asgard have great respect for Colonel O’Neill, even naming their advanced warship prototype after him. Thor – Thor and the Asgard have recognized that their reliance on their technology has been their downfall, as the Replicators threaten even their home world. Thor humbled himself in coming to Earth to ask for help, wisely realizing that the Asgard can no longer think in terms of “less sophisticated” methods that can be effective against the Replicators. Thor’s life and his planet have been saved by SG-1. Shortly after arriving on P3X-234, an Asgard vessel arrived to retrieve Thor and his stasis pod. Daniel Jackson – Daniel was forced to stay out of the action again, even so far as watching his friends nearly killed by the Replicators. Not going on the mission was hard for Jackson — almost as hard as giving consent to fire on the submarine where O’Neill and Teal’c were fighting a losing battle. Teal’c – Teal’c is … growing something on his chin. He also continues to demonstrate his devotion to Earth and the S.G.C., risking his life to save the planet from invasion. What planet is P3X-234 (or P4X-234)? Is it one that SG-1 has been to before? What did O’Neill, Carter, and Teal’c do during the time they were stuck offworld? Why did the Asgard leave SG-1 on the planet when they came for Thor? Do the Replicators have some sort of collective consciousness? If so, is it limited to a local colony, or are all Replicators in the galaxy in communication with one another? Were all the Replicators on Earth destroyed? Can any that survived the destruction of the Blackbird live in the water, or will they corrode and be destroyed (as Davis and SG-1 theorized)? Will the Asgard develop Earth-style projectile weapons? Will they construct another O’Neill class warship? Who created the Replicators? How widespread is their influence? “I remember sitting in Brad’s office when we first came to Vancouver and having Brad ask Robert how he planned to conclude the Season Three finale, ‘Nemesis.’ Well, Rob knew exactly where he wanted to go with the story and broke it down for us. I remember thinking, ‘There is no way they’re going to be able to pull this off.’ And yet, he did. WE did. Again and again. The high point of this episode isn’t the Rick Moranis lookalike taking a face full of acid in the teaser, or the Russian dialogue that, when translated, reads: ‘What’s that noise?’ ‘Maybe it’s that bug from the last episode,’ but the outtakes — specifically, one depicting a seated Thor requesting a Mokochino and another with the Asgard reaching up to goose Carter and getting his face slapped as a result. VOTE! How would you rate SG-1's "Small Victories?"